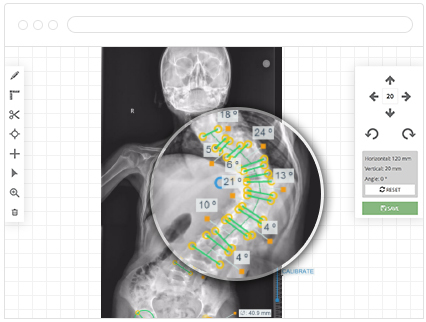 Click2Correct™, Preoperative Planning and Templating Software offers less planning time, the easiest user interface possible and improving measuring template library through emphasising and colobrating with and for surgeons. 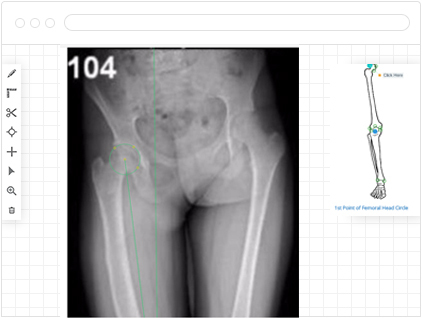 Learn more by reading user documents. 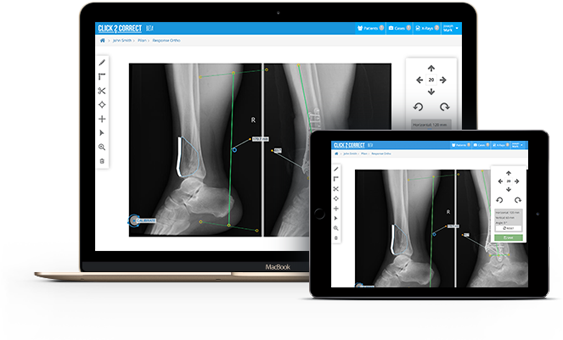 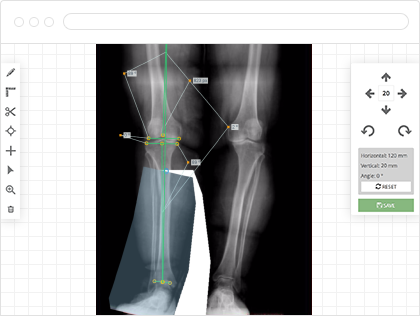 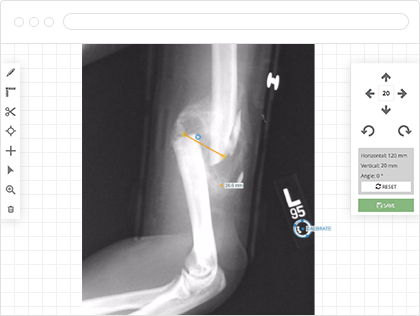 Click2Correct™ is a web based software developed to foresee the results of the surgery by preoperative planning and template studies in orthopedic applications. 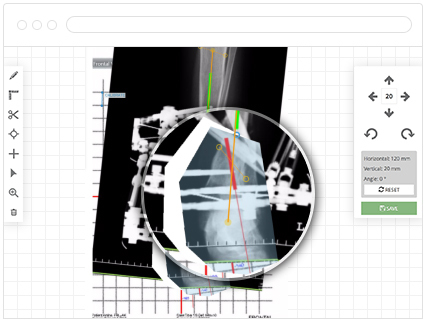 Some advantages are such as time saving, accuracy, case sharing, unlimited image storage and accessibility compare to traditional methods like X-Ray films, acetate and rulers. 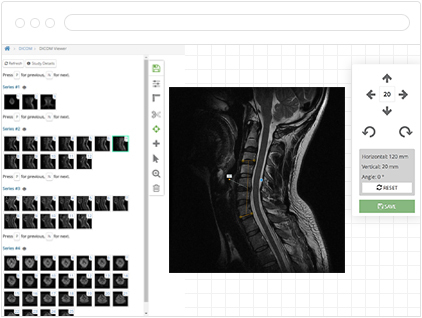 Click2Correct™ in now DICOM compatible, allowing users measure plan and store preoperative plans. 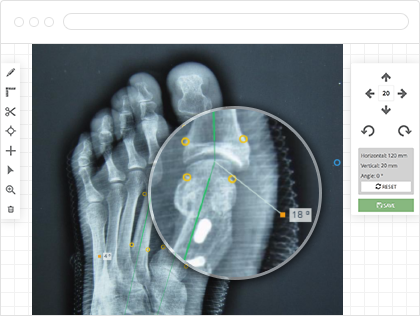 Click2Correct™ on line detailed user instructions guides the surgeon through the planning process. 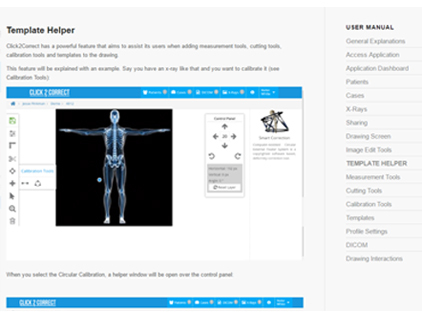 The standard templates allow the user to easily and quickly gain accurate measurements.